The 5.2-inch full HD Triluminos panel with X-Reality (you can watch Sony explain what those marketing terms mean here). The silicon is remarkably familiar too. The Z3 boats a 2.5GHz quad-core processor, up from 2.3GHz in the Z2. But both are Snapdragon 801 chips (MSM8974AB in the Z2 vs. the Z3’s MSM8974AC if you’re keeping score). Both handsets have a 20.7-megapixel camera and run Android 4.4 KitKat. Then, of course, there’s the design. Xperia phones in general aren’t known for their bold and varied aesthetic, especially not the Z series. If you lined them up from the original Xperia Z through to the Z3, you’d mostly be picking at details to tell them apart. 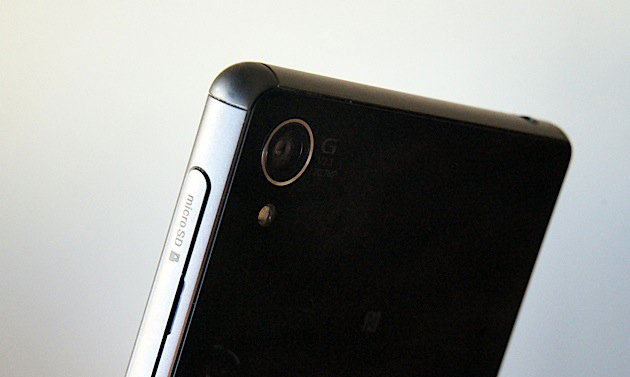 The original Xperia Z might cast more or less the same shadow as the Z3, but the newest flagship has a much more premium feel thanks to the matte-finish metal edges. The corners are actually nylon — to make them less prone to dings should you drop it — but you wouldn’t notice unless you were looking closely.